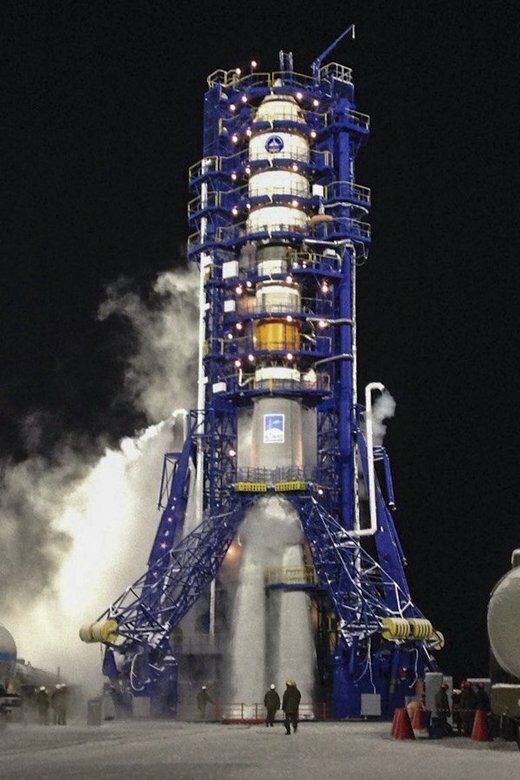 On November 17, 2015 at 09:34 MSK (06:34 UTC), the Air and Space Forces successfully launched a Soyuz-2.1b launcher from the launch pad No. 4 of the launch complex No. 43 of the Plesetsk site. According to the official statement, the launcher carried "a new-generation satellite for the ministry of defense." The satellite is being delivered to the orbit by a Fregat booster. UPDATE: The satellite is said to have successfully reached its nominal orbit and was designated Cosmos-2510. The international designation is 2015-066A. The satellite was registered by NORAD as object 41032. At this point the orbit is 1625 x 38551 km x 63.8 deg, which is similar to the old Oko/US-KS-type orbits - the satellite makes two revolutions a day. The satellite is believed to be the first Tundra spacecraft of the new early-warning system, known as EKS. The satellite was earlier identified as 14F142. The program is several years behind the schedule - the first public statement about the program suggested that the first launch were to take place in 2009. It was reported that Tundra satellites will be deployed in highly-elliptical orbits, but the constellation might include geostationary satellites as well. UPDATE: According to the ministry of defense, the complete system will include ten satellites. Tundra satellites and the EKS system are expected to replace satellites of the old US-KS and US-KMO systems. Russia lost all its early warning satellites in the spring of 2014.